When Syrian Omar Ahmad was hiding from the bombs raining down on his home in Aleppo in 2013 he had a simple dream: to escape from the hell of the war engulfing his country and lead his wife and three children to safety. Now, with the care offered to Omar and other Syrian families by Cheshire West and Chester Council , he has a new dream: to open a Syrian cake shop in Cheshire Oaks Retail Park. It has been a long and stressful journey to a safer life for the Syrian families flown over to different parts of the UK by the British Government since December 2016 as part of a five-year refugee programme to rescue the most vulnerable victims of the Syrian war. 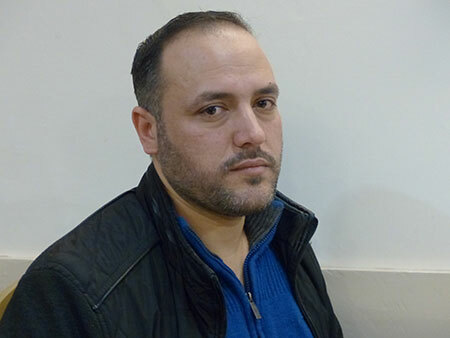 Among the Syrians now living in Ellesmere Port is also Adnan Alater from Damascus. It has been a traumatic few years for Adnan, his wife and three children. If it wasn’t for the support provided by the Cheshire West and Chester Council and its partnership with the charity P3 and the Cheshire, Halton and Warrington Race & Equality Centre (CHAWREC), Adnan’s traumatic life would have continued. However, his life is on the mend as a result of the council’s support with accommodation, schooling, cultural and emotional advice, and English lessons. 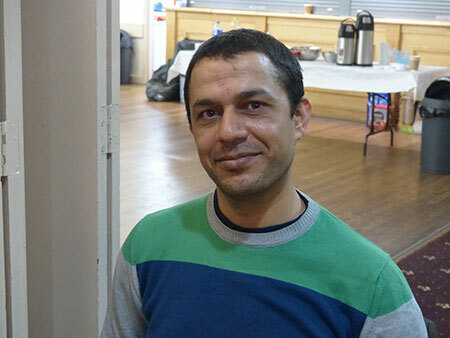 Omar Ahmad arrived in Ellesmere Port a year ago from Aleppo. He said: “There is nothing left of Aleppo. I’m very sad, there is nothing left of my country. When the war started I was in my house and the bombs were coming down on top of us. I was very scared all of the time. “I never spoke English before I came here but now I am able to speak some English. I do understand people in shops. I was really happy to be here when I got here. I came from a different way of life but the people here have been wonderful. “The council has helped us to meet people and have been encouraging us to volunteer and giving us English lessons. I volunteer at a farm for four hours a week. “I was a tailor in Syria with 25 years-experience making coats. I am looking for a job in a factory or a warehouse but in the future I want to be self-employed. Councillor Angela Claydon, cabinet member for housing, said: “Cheshire West and Chester Council and its partners are preparing to welcome more families to the borough from Syria in the coming months and the partnership is well equipped to aid their integration.